The vast majority of patients at Denver Holistic Medicine are women. And for women, the only things in life that are certain are death, taxes, and menopause. We want to break the perceived taboo of talking about menopause so you feel educated and empowered. Let’s break it down: What happens to our bodies during menopause? When a girl hits puberty and begins menstruating, her body is driven by two main hormones: estrogen and progesterone, which regulate the release of eggs from the ovaries and her menstrual cycle. Ideally, she remains in this balance for most of her reproductive life. When she reaches menopause, her ovaries stop releasing eggs and the production of estrogen and progesterone decreases significantly. However, this transition doesn’t happen overnight. The transition into menopause is known as perimenopause, and it’s this phase (rather than menopause itself) that is responsible for the unpredictable symptoms we’re familiar with, including irregular periods, night sweats, hot flashes, and mood swings. A woman can enter perimenopause anywhere from age 40-55 (or as soon as she has had her ovaries removed surgically). The decrease in hormone production is gradual; for some women it takes up to 5 years. Dr. Simone explains to her patients that estrogen and progesterone are not steadily declining during the entire perimenopausal period. Instead, she likens it to a rollercoaster. And it’s these fluctuations in hormones that cause irregular—and often uncomfortable—symptoms. These two hormones work as balancers in the body, like the two sides of Lady Justice’s scales: when one is lower, the other is often higher. And in addition to being regulators of the reproductive system, estrogen and progesterone play essential roles in the function of other areas of the body. For example, our bones are constantly breaking down and rebuilding. Estrogen decreases bone resorption and progesterone increases bone formation. Together, the two ensure that our body doesn’t break down bone faster than it can replace it. Estrogen also plays a role in improving the function of our lungs and digestion, and aids our metabolism. Progesterone is involved in regulation of the thyroid. Both contribute to the balance of our mental health. Given the impact these two hormones have on our bodies, their irregularity sounds a bit alarming, and in many ways it certainly is cause for concern. With significantly lower amounts of estrogen and progesterone, women become at risk for cardiovascular disease, osteoporosis, urinary incontinence, sexual dysfunction, loss of libido, and more. 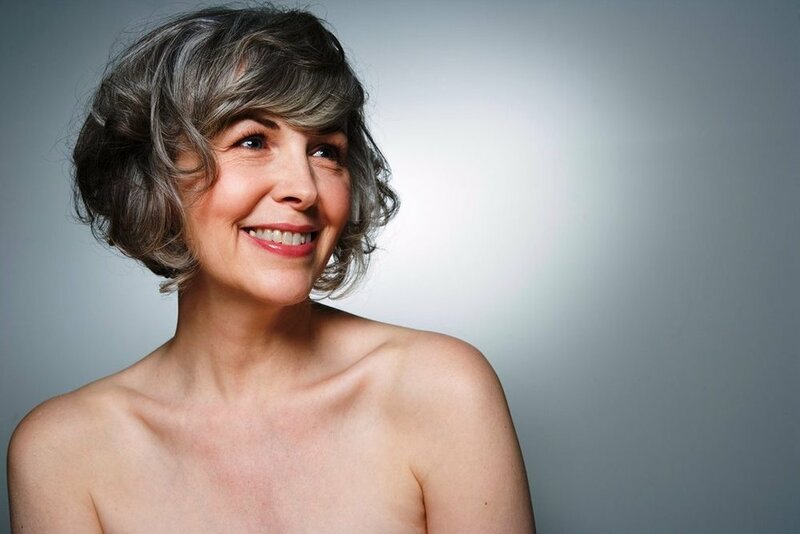 It’s not possible to “fix” the cause of perimenopause or menopause, but it’s possible to take the extremes off hormone fluctuations and ease the symptoms with conventional hormone replacement therapy. There are several pharmaceuticals available, but side effects are daunting. That’s why Dr. Simone recommends more holistic treatments. First and foremost, she focuses on patients’ lifestyle and diet, knowing that’s the first line of defense. If she’s sure a woman is living a healthy, balanced lifestyle, but she’s still experiencing bothersome symptoms, Dr. Simone may recommend more pointed treatments. Treatment plans are completely dependent on each individual patient, but Dr. Simone reports that it’s common for her to prescribe acupuncture and herbal supplements. She’ll often recommend DIM, a broccoli-derived supplement that helps with estrogen metabolism. Black cohosh is another favorite herb she’ll recommend as a tincture or supplement. For progesterone supplementation, Dr. Simone recommends a bioidentical cream for women to apply to their belly and inner thighs, allowing the hormone to absorb through the skin and go directly to where it’s needed most. If you’re experiencing symptoms of perimenopause or menopause, try evaluating your lifestyle and diet first. After all, that’s the most natural treatment you can find! And If you’re in need of some extra support, book an appointment at Denver Holistic Medicine to learn just how healthy you can feel. Newer PostPhytoestrogens: Friend or Foe?